Pressure-treated wood is wood that has a preservative forced deeply into it. This causes it to be resistant to decay and insects. It is used for many exterior applications, such as decks and picnic tables. Once the ends have been cut, however, additional care must be taken in order to maintain the same level of resistance. Purchase water-based copper naphthenate. 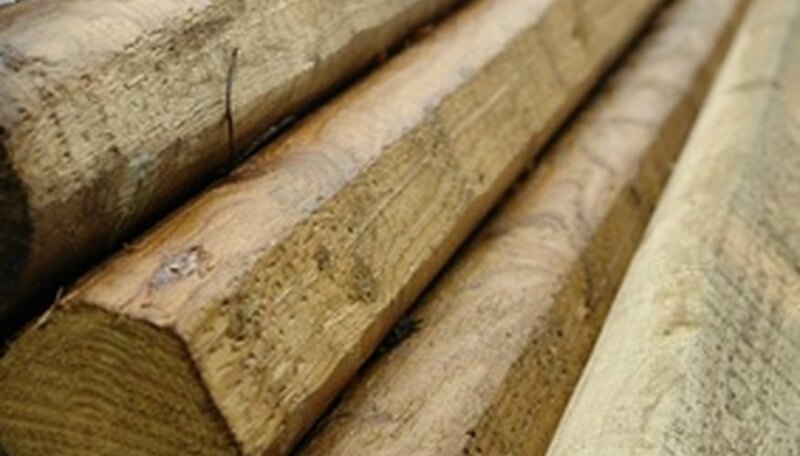 This is a product that is available at most places that sell pressure-treated lumber. Apply the preservative liberally with a brush to the cut ends of the boards. Apply a second coat and ensure that the product soaks into the wood. Apply around all nail holes and on all sanded areas, as well. Copper naphthenate is a wood preservative as well as an insect repellent. It will not hurt your wood. Any spots where the wood has been drilled into, cut or sanded should be treated with this product. Wilway lumber: Pressure treated lumber.